This concentration is for those who want a broad exposure to the fundamentals of marketing. The concentration prepares practitioners and managers through exposure to the many facets of marketing: development, advertising, distribution, sales or products and services. Students will gain an understanding of research, planning, analysis, communication, business relations, decision-making techniques, and applications are presented. Problems, issues, and alternative solutions involving product strategy, pricing, distribution, promotion, and marketing research will be discussed, both from a national and international perspective. In general, marketing principles will be applied to multinational and international business practices. Retailing and management of the marking function will also be studied. Assistant ProfessorJi Mi Park, Ph.D., has recently published two articles in leading marketing journals on exploring the impact of strategic emphasis on advertising versus R&D during stock market downturns and upturns. Through research focused on data analysis as well as the latest science around consumer behavior and decision making, she keeps pace with the accelerated evolution of the marketing profession. Read More Here. Picture: students in the product development class of Associate Professor of Marketing Thomas Kohler, Ph.D. 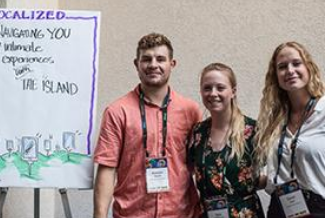 Global Tourism Summit, October 1-3, offered HPU students the opportunity to collaborate and tackle innovation challenges related to sustainability and resilience of Hawai'i Tourism Industry. Please click here for more info. 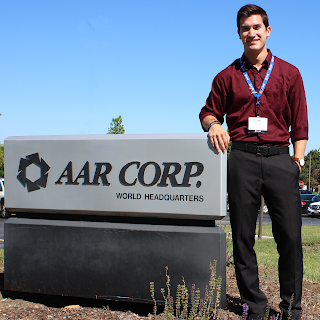 Hawaii‘i Pacific University senior marketing major Patrick C. Wilk gained career experience through a summer internship at the world headquarters of AAR CORP. in Wood Dale, Illinois. AAR CORP., which was founded in 1951, is an aviationsupport company providing a broad range of products and services to the aerospace and government/defense industries. In 2014, the company was named by Forbes a “Most Trustworthy Company.” Wilk reports to the global director of communications and reputation.